Reiki is an effective and easy way of natural healing and consciously relaxing. 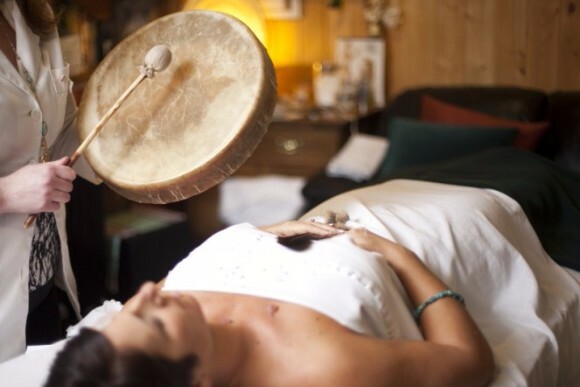 During a Reiki treatment, the natural flow of life energy passes through the hands of the practitioner into your body. This way you are being charged and at the same time Reiki helps you to relax and let go of problems. A Reiki treatment is both energetic and relaxing. It does not replace regular medical treatment, but can support this. The Reconnection is an accelerated exchange of the energy, light and information found in the Reconnective Healing frequencies. It is a focused formation to connect three systems: the ley lines of our planet, the meridian lines in the human body and the universal energy grid. The Reconnection is a once-in-a-lifetime experience that ties us back into a timeless system of intelligence. It is about restoring you to spiritual wholeness and setting you on your life path. The Reconnection takes place in two sessions, each session lasting about 45-60 minutes. You lie on a massage table, shoes off, eyes closed. Sessions take place on consecutive days or with one day in-between. The Reconnection is a touch-free procedure. It has to be done in person. It can not be done from a distance. Reconnective Healing is a return to an optimal state of balance. It is the result of interacting with the fully comprehensive Reconnective Healing spectrum of frequencies that consists of energy, light and information. Reconnective Healing is often a life changing experience. Ask your healer for more info.